For your consideration is this beautiful crystal gridding cloth. It is made of 100% cotton and has gold ink. It measures 12 inches square. 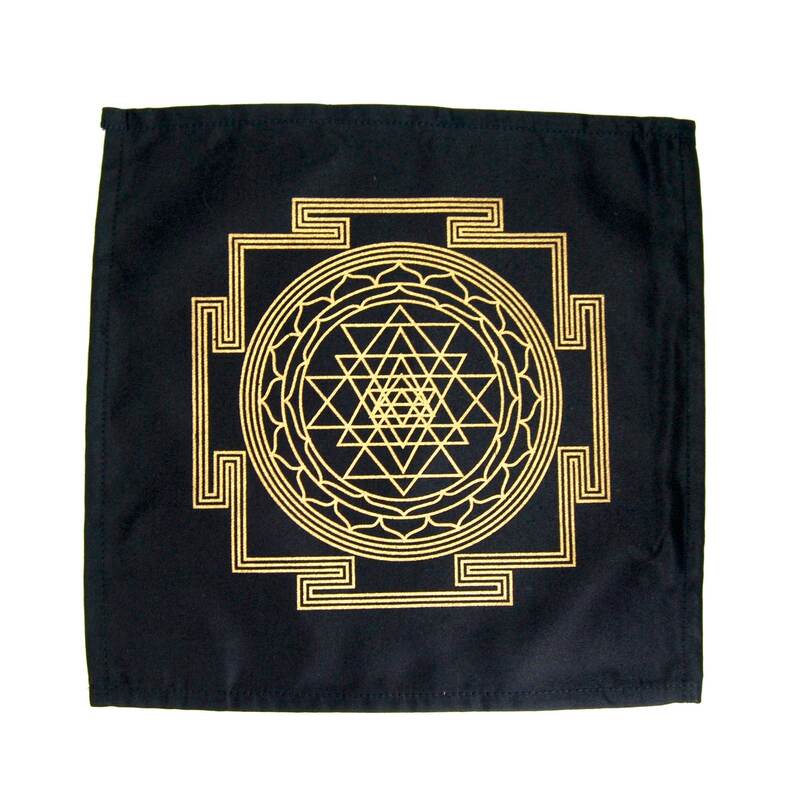 This design is the Sri Yantra.